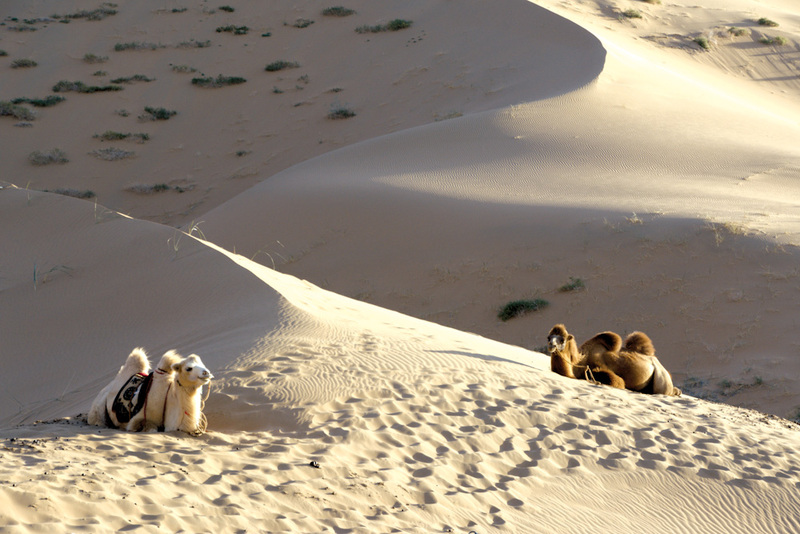 Camels rest on the Gobi desert of Mongolia. There are two sides to Mongolia, the city dwellers in Ulaanbaatar and those who still embrace the nomadic way of life, set between mountains, desert and grassy terrain, but it’s hard to escape the untamed beauty of this place – number 32 on our 100 Secret Gems You Need To Know About list. In East Asia, bordered by China and Russia. Sprawling across 1.5 million square kilometres, Mongolia is made up of vast stretches of grassy steppe in its interior, soaring mountains in the north and west, and the Gobi Desert to the south. Almost half of the sparse population live in Ulaanbaatar, but it is the hearty nomadic souls, living in distinctive circular yurts with their horses and birds of prey, who embody the remote beauty of this country, one that is steeped in the folklore of Genghis Khan, the ruthless warrior who founded the Mongol Empire.